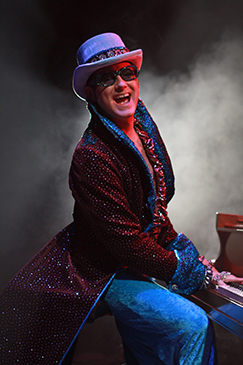 Almost Elton John – A spectacular musical journey celebrating the decades of chart topping hits of Sir Elton John, including: “Benny and the Jets”, “Philadelphia Freedom”, “Crocodile Rock,” “Goodbye Yellow Brick Road” and “Candle in the Wind.” Multiple award winning actor/singer Craig Meyer uses his remarkable resemblance and uncanny ability to sound like the legendary star to celebrate the character, costumes and charisma of the famed pianist and singer, and the show has captivated audiences throughout the United States and abroad. “Craig A Meyer is one of the most talented people I have ever worked with. He can do anything!” -Barry Manilow “A top notch performer.” – -Daily Variety.